haverhillchamber.com | GHCC Issues Corporate Challenge to Greater Haverhill Business Community! GHCC Issues Corporate Challenge to Greater Haverhill Business Community! The Greater Haverhill Chamber of Commerce recently learned of a safety need of the Haverhill Police department. 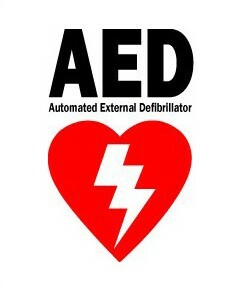 The HPD is in the process of outfitting their police cruisers with Automatic External Defibrillators (AEDs) to better serve the local community. As our officers are usually the first to arrive on emergency medical calls the addition of this valuable tool will assist in saving more lives when responding to the scene of a “code blue” call. Each unit is priced at approximately $1,500 and is not accounted for in the annual HPD Budget. In support of Chief DeNaro and all of his dedicated officers the Greater Haverhill Chamber of Commerce will be making a donation of $1,000 to offset costs. We invite ALL local Haverhill area businesses to support the cause at a level that makes sense for them. Whether $250 or $2,500 every dollar makes a difference. In addition, there will be a community raffle held for the benefit of the police department AED effort. The winner will be pulled during the Healthy Living Expo on September 12th at 11 AM that morning. All participating businesses will be invited to participate in the presentation of the funds and photo opportunity. The Greater Haverhill Chamber of Commerce will be collecting the donation checks made payable the Haverhill Police Department between now and Spetember9, 2015. All questions can be directed to office staff at 978-373-5663 or via email at info@haverhillchamber.com.